Taking care of your child is not always easy. Some would say that it’s the most complicated and responsible job in the world, and yet, any professional work experiences requires you to have qualifications in abundance on your CV. 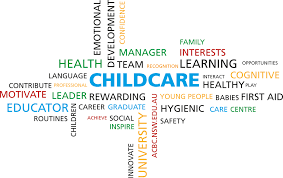 When it comes to childcare, whether you are a parent or a professional, we all need help and support sometimes. It is a true sign of strength when somebody reaches out to another in order to gain knowledge, learn and improve themselves. In professional settings, access to training is commonplace and demonstrates a positive approach to good practice. In a home setting, we are often left isolated and unable to cope with the challenges of being a parent and we have limited time to learn or improve ourselves. Whether you are about to become a parent, are already a parent, or have been a parent for a long time, courses, workshops, seminars, and even 1:1 training can benefit you in so many ways and ultimately benefit your whole families well being. There are a whole range of options, just ask for what you need and we will send you some information about training options. It is great that you have taken this step towards improving the way you can care your child. I look forward to a positive relationship with you, helping you do the best for yourself and your child.